It’s very easy to get excited about a job, but it’s a big commitment because you do it and then you have to live with it when it’s finished. It’s forever in your section in the video store. It’s you. It’s almost like deciding who you have a child with. I can be pretty nasty. Not ‘mean’ nasty, but nasty by your parents’ standards. But not by my parents’ standards, because my parents were nasty for their day. I’m afraid of making a mistake. I’m not totally neurotic, but I’m pretty neurotic about it. I’m as close to totally neurotic as you can get without being totally neurotic. I was raised on Bruce Lee. I love Jet Li, he’s really special. I don’t talk about who I’m dating because when you break up, you wind up reliving it in the media. 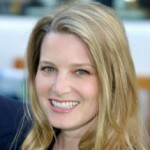 Bridget Fonda was born in Los Angeles, California. She is an American actress. She is known for her roles in such films as The Godfather Part III, Single White Female, Point of No Return, It Could Happen to You, and Jackie Brown. She also provides the voice for Jenna in the 1995 animated feature film Balto. She is the daughter of Peter Fonda, niece of Jane Fonda and granddaughter of Henry Fonda. Fonda attended Westlake School for Girls in Los Angeles. She made her film debut at the age of five in the 1969 movie Easy Rider as a child in the hippie commune that Peter Fonda and Dennis Hopper visit on their trek across the United States. Her second part was in the 1982 comedy Partners. In 1988, she got her first substantial film role in Scandal. That same year she appeared in You Can't Hurry Love and Shag. Her breakthrough role was as a journalist in The Godfather Part III.